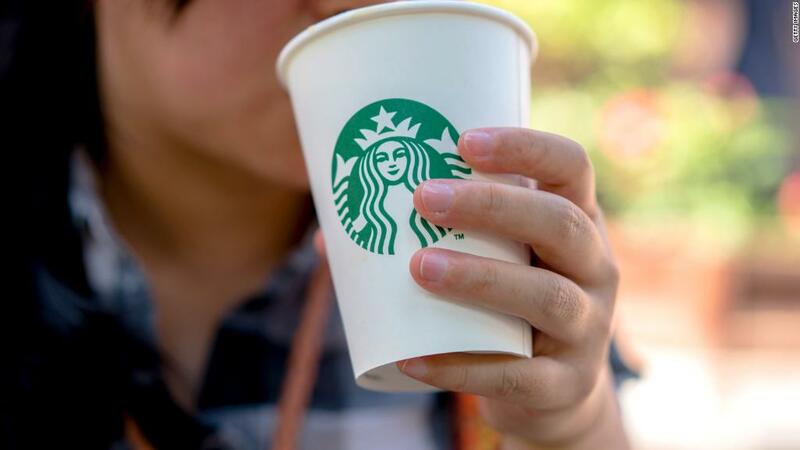 "This milestone is the result of years of work and commitment," said Lucy Helm, executive vice president and chief partner officer at Starbucks (SBUX), in a statement. "We've worked hard for a couple of years now to ensure we can get there," Starbucks CEO Kevin Johnson told CNN's Maggie Lake on Wednesday. Helm explained that the company has been striving for pay equity for about decade. Last year, it was at 99.7% parity. Women make up about one-third of the company's executive team. Starbucks uses several tools to make sure bias doesn't impact how much employees make. The company regularly checks for compensation gaps among employees, and uses a calculator to determine starting pay rate targets based on experience. It doesn't ask job candidates about their salary history, and the company analyzes raises to make sure they're fair. It is working with women's organizations like Billie Jean King's Leadership Initiative and the National Partnership for Women & Families to help guide its efforts. "One of the most important things to get right is starting pay," said Sara Bowen, the leader of the Starbucks Inclusion, Diversity, Equity and Accessibility team. "If a job candidate comes to Starbucks making 70 or 80 cents on the dollar, and we use that as the basis for her pay at Starbucks, we simply import gender inequality into our own system," she said. "Prior salary can be tainted and should not dictate how we pay." Johnson told Lake that the pay parity achievement is "another example of us taking care of our [employees]." After disclosing small differences in employee pay earlier this year, Citigroup (C) announced it will give raises to even salaries between men, women and minority employees. At Salesforce (CRM), CEO Marc Benioff says the company has spent around $3 million to raise women's salaries so they're equal to men's. — CNN's Julia Carpenter contributed to this report.